Cologne – At the DKT 2018 (German Rubber Conference), LANXESS will present a broad range of additives for the rubber processing industry. During the conference in Nuremberg, Germany, from July 2 to 5 the specialty chemicals company showcases solutions and methods which increase productivity and reduce health risks for its customers. The comprehensive portfolio includes additives for the manufacture of high end rubber components for a significant number of diverse applications. “As a backward integrated manufacturer of specialty chemicals for our polymer- and silica-bound rubber additives with more than 125 years of experience in the rubber industry, we not only offer our customers products of consistently high quality, but can also take responsibility for their availability,” says Dr. Benjamin Bechem, Head of Global Marketing Technical Rubber Goods at the LANXESS Rhein Chemie (RCH) business unit. The products of the Rhenogran family improve handling and processability of rubber chemicals and enhance the quality of finished articles. Especially shorter mixing times in combination with lower processing temperatures are economic reasons. A real multitalent is Rhenogran CLD-80. Unlike ordinary sulfur, Rhenogran CLD-80 ensures an extremely stable vulcanization network by forming mainly mono- and disulfidic bridges. This results in an excellent heat aging resistance of the vulcanisates and prevents premature reversion. Unlike thiurams or morpholine, Rhenogran CLD-80 does not generate carcinogenic N-nitrosamines during vulcanization, nor do the vulcanisates show any blooming. Therefore, the product is particularly preferred for rubber parts that are exposed to extreme conditions such as high operating temperatures combined with high loads, e.g. high-performance tires, seals or anti-vibration elements. Rhenogran Geniplex-70, used for the sulfur curing of EPDM and other diene rubbers that also reduces the decomposition temperature of blowing agents, has an activating effect on vulcanization. Processing safety of rubber compounds containing Rhenogran Geniplex-70 is increased, and curing improved. Thiurams and carbamates forming carcinogenic N-nitrosamines can be replaced by Rhenogran Geniplex-70 without any negative effects in terms of processing safety or mechanical properties. Rhenogran TP-50 is a proven crosslinking additive for the N-nitrosamine-free curing of rubber compositions. In combination with sulfur and primary accelerators, Rhenogran TP-50 sets standards in realizing economies of scale in rubber compounds while keeping reject rates low. In particular, the considerably high solubility up to six parts per hundred rubber (phr) provides flexibility in a wide range of formulations. Besides N-nitrosamine free curing which is nowadays mandatory in state-of-the-art automobiles this chemical also provides versatile solutions to various problems from improving reversion resistance to coping with dispersibility and efficiency problems owing to its solubility in different rubber types. Rhenogran HMDC-70/AEMD, a diamine based cross-linking agent, is a state-of-the-art curative for oil-resistant seals and hoses based on AEM, and selected polyacrylic rubber types (ACM) for use in vehicles and engineering. Rhenogran HMDC-70/AEMD combined with Rhenogran XLA-60 is the crosslinking system of choice when having to deal with high temperature resistant AEM or other diamine crosslinkable elastomers. Not only is this a safe crosslinking system, free of guanidines or other dangerous amines, the physical properties it impairs are better or at least on par with the conventional unsafe systems. Due to the high toxicity of ETU-based curing systems, the combination of Rhenogran MTT-80 with Rhenogran HPCA-50 may be used for the safe cure of chloroprene rubber parts. Whether mercaptan or xanthogen disulfide modified CR types – all can be safely crosslinked with MTT-80 and HPCA-50 while reducing magnesium oxide concentration and improving aging resistance. Whatever the task is, e.g. N-nitrosamine-free curing systems, formulations for reversion-stable networks, high solubility in rubber, fast curing rates or replacement of otherwise eco-critical chemicals – dithiophosphates from RCH are the handy solution for every compounder. Rhenocure SDT/S, a dithiophosphate-based sulfur donor, is a co-accelerator for various challenges in rubber compounding, e.g. an accelerator for N-nitrosamine-free EV curing systems, an anti-reversion agent for heat-resistant vulcanisates, or for the partial replacement of standard accelerators. The brand Rhenofit stands for a wide assortment of functional additives including antioxidants, filler and blowing agent activators, cross-linking activators and desiccants. Depending on the respective raw material and its handling requirements, these products are available either in powder, pellet, liquid or dry liquid form. If not specified otherwise, liquid additives are offered as dry liquids on inert, inorganic white filler material as a free-flowing white powder for easy handling and mixing. For peroxide vulcanization crosslinking coagents are available, e.g. Rhenofit TAC/S. Rhenofit STA/S, a combination of activating polar substances, acts as a curing activator and processing promoter for silica and other white fillers. Rhenofit STA/S helps to properly disperse polar compound ingredients and simultaneously activates silica and other white reinforcing fillers. The vulcanization is accelerated and cure efficiency is improved to an extent that Rhenofit STA/S may be used as a secondary accelerator. Further information can be found at www.rheinchemie.com. 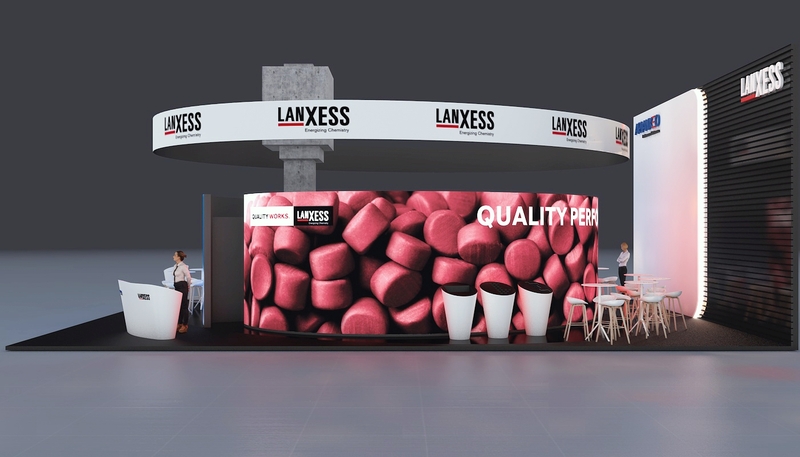 One focus of LANXESS’s presence at the DKT will be on antioxidants, since rubber, a truly versatile material, must be individually protected against aging based on its respective use. The Advanced Industrial Intermediates (AII) business unit offers the rubber industry an extensive range of coloring and non-coloring antioxidants and antiozonants that can be dosed and processed easily, safely, and with minimal dust. Most importantly, they can be combined to further improve each additive’s individual range of effects. Each antioxidant and antiozonant has a typical range of efficacy with regard to the different types of aging. Depending on their chemical structure, they counteract one or more of the aging processes. With its Vulkanox, Vulkacit, Vulkazon and Renacit brands, LANXESS is one of the few manufacturers worldwide to offer the right additive for all steps of the rubber production process from a single source. Aging processes, which are mainly triggered by the effects of oxygen, ozone, and heat, change the properties of vulcanized rubber and can lead to its partial or complete deterioration over time. The Vulkanox brand of antioxidants and the Vulkazon range of antiozonants from LANXESS significantly extend the useful life of elastomers. This means that truck tires, technical rubber goods, and fire hoses, for example, can remain in use longer and retain their properties. 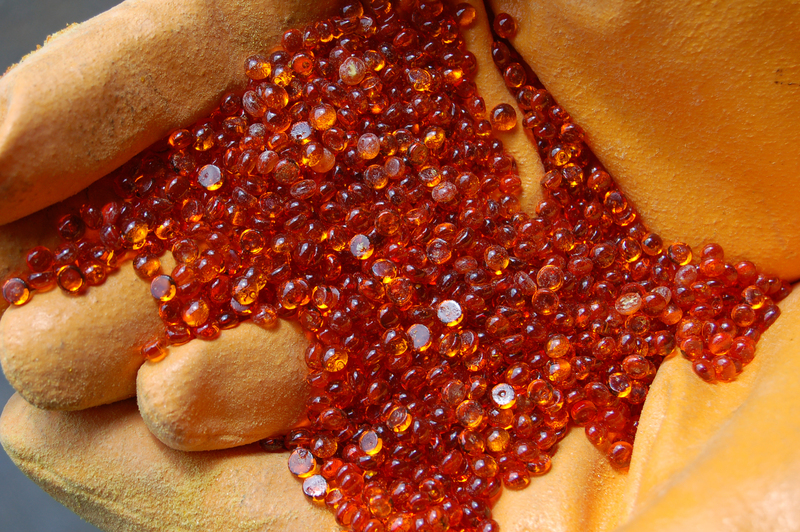 For natural rubber, AII has developed the highly effective wax pellets Renacit 11/WG. The masticating agent breaks the molecular chains and makes the material easier to process. In addition to antioxidants, the company offers Vulkacit vulcanization accelerators. Sulfenamides are by far the most widely-used accelerators in the rubber industry. They have an effect on both the speed of the cross-linking reaction and the properties of the vulcanized products. Detailed information about LANXESS’s antioxidants and antiozonants is available at http://axx.lanxess.com.